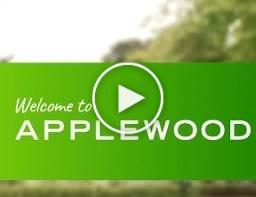 At Applewood we want all residents to enjoy a fulfilling retirement lifestyle. From the moment you enter the front gates you'll feel the comfort and security that makes residents happy to call us home. Cutting edge amenities, meticulously-groomed grounds, and dedicated staff contributes to a high standard of living. Our facilities include a restaurant, bar, pool, gym, library, lounge areas & more. Set amongst landscaped gardens within Applewood retirement village, our villas and apartments offer the perfect environment for those wanting to maximise their retirement in a quiet, yet social environment. 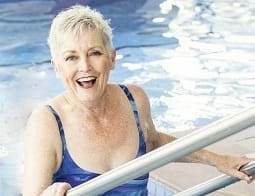 Applewood is a premium retirement village in Doncaster, home to residents who enjoy the freedom and independence of living in a well-established independent living, luxury retirement community. 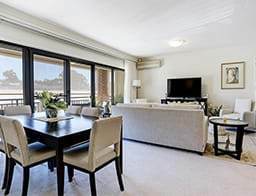 Prestigiously location in Melbourne’s Eastern suburbs, Applewood is located just 17 kilometres from the heart of the CBD. You will discover an exceptional residence that you can proudly call home. Built upon 24 acres of beautifully maintained gardens Applewood has been meticulously developed to offer all residents the housing solution and low maintenance lifestyle that you have been searching for. To learn more about a contemporary and fresh approach to retirement living in Doncaster, contact us today to organise a personal tour. Call us on 03 8848 1111 or contact us via email.